Recycling - Urban Renewal Corp.
Urban Renewal Corp manages electronic waste, including discarded computers and monitors, laptops, printers and other consumer electronics. Electronic waste accounts for two percent (2%) of the municipal waste stream, but contributes over seventy percent (70%) of the toxins therein. At URTC, no waste is produced during the responsible management of used electronics. Products are de-manufactured and recycled, or refurbished for sale or donation to worthy causes worldwide. 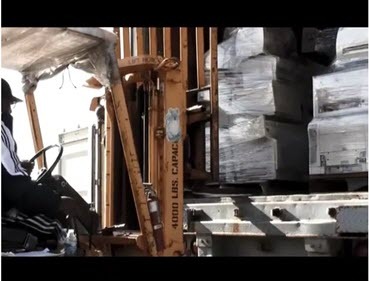 All proceeds from recycling and refurbishing are used to help fund the programs administered by URTC for the homeless and economically disadvantaged and citizens returning from incarceration. 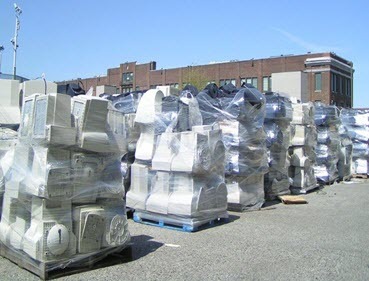 If you want to get involved in computer recycling in New Jersey, please donate below. At URTC, no waste is produced during the responsible management of used electronics. Products are de-manufactured and recycled, or refurbished for sale or donation to worthy causes worldwide. 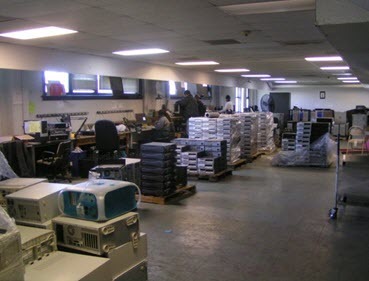 All proceeds from recycling and refurbishing are used to help fund the programs administered by URTC for the homeless and economically disadvantaged, including provision of stipends to students of our sixteen-week training program in computer recycling and repair. If you want to get involved in computer recycling in NJ, donate below! Urban Renewal Corp is a non-profit organization that relies on the goodwill of donors along with grants and other funding to keep it’s doors open. We welcome and are grateful for monetary and computer/electronics donations of any kind. Urban Renewal Corp is a not-for-profit organization that relies on the goodwill of donors along with grants and other funding to keep it’s doors open. We welcome and are grateful for monetary and computer/electronics donations of any kind.